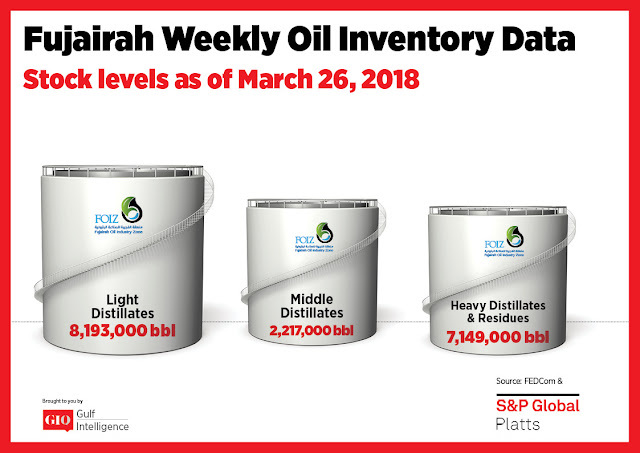 Total oil product stocks in Fujairah stood at 17.559 million barrels as of March 26, down slightly by 0.4% from last week's 15-week high, according to the latest data from the Fujairah Energy Data Committee, or FEDCom. 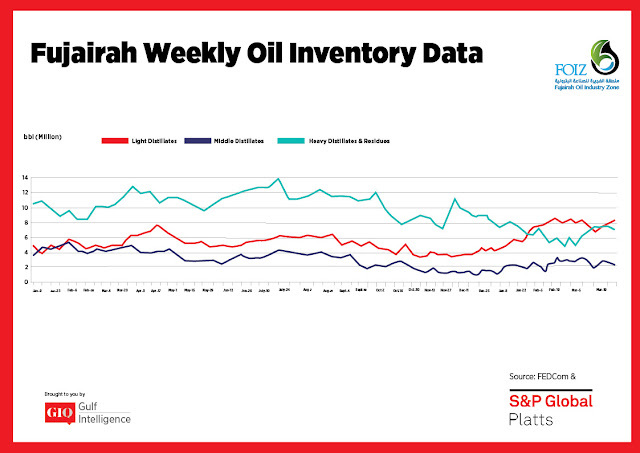 Stocks of middle distillates fell by almost 14% to 2.217 million barrels. Gasoil cargoes from the Gulf were headed to Singapore due to a closed arbitrage to the west, S&P Global Platts Analytics said in a report. Asia's gas oil market was largely balanced, between spot demand and ongoing refinery turnarounds providing underlying support, it added. Stocks of light distillates rose by 6.9% week on week to 8.193 million barrels. 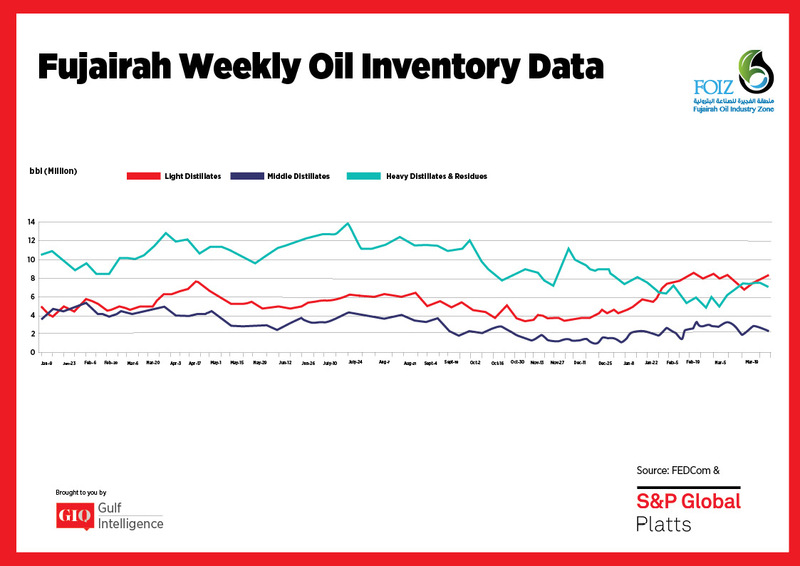 Inventories for this category in March 2018 have averaged 30% higher than the same month last year, which is indicative of ample supply in the region, Platts Analytics said. Stocks of heavy distillates and residues fell by 3.2% week on week to 7.149 million barrels. Premiums for the benchmark Arab Gulf 180 CST FOB cargoes fell to $7/mt on Tuesday from a four-month high of $10/mt a week ago. This was in line with a weakening market in Singapore, where cash premiums and swaps time spreads are both negative.